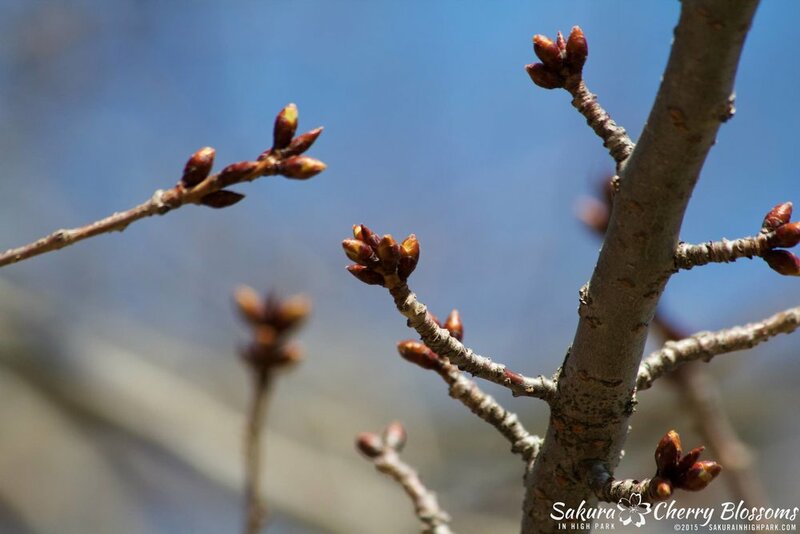 Sakura Watch, April 17, 2015 - buds swell and show green tips on the majority of the trees near the sports fields, along the big hill and winding path, and even along Grenadier Pond. Sakura // Cherry Blossom trees near the High Park Zoo and Playground area, are the furthest behind with most of their buds being smaller in size and still closed. The smaller group of Akebono & Fugenzo trees that make up the small grove at the bottom of the main hill in the park - the hill with the large maple leaf design garden - are of course the other variety of Sakura that are always late bloomers, and those won't be starting till later in May and into June. Now, of course, everyone is more concerned with the better known white 'Yoshino' cherry blossoms and when they will bloom! 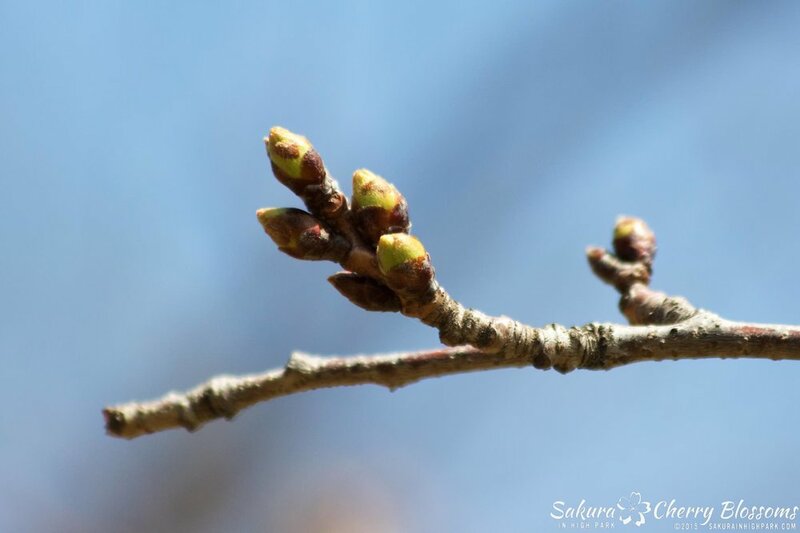 I'm happy to report that the buds continue to look very healthy and plentiful - see photos taken today that show the larger number of buds to be seen on the branches on the trees this year. Many of the buds are also exposing even more green tips and are continue to grow more swollen with a lovely copper brown colour and fuller, rounder shape. All these are great signs that the progress of the Sakura // Cherry Blossoms continue on a positive and healthy path with only a few weeks remaining before we begin to see the first blooms for 2015! Watch for more posts, more often starting early next week - have a great weekend!